Scare stories, very real risks and a lack of knowing where to begin, all make the process of moving your website from HTTP to HTTPS daunting. Dramatic drops in rankings and plummeting search traffic are a definite danger. 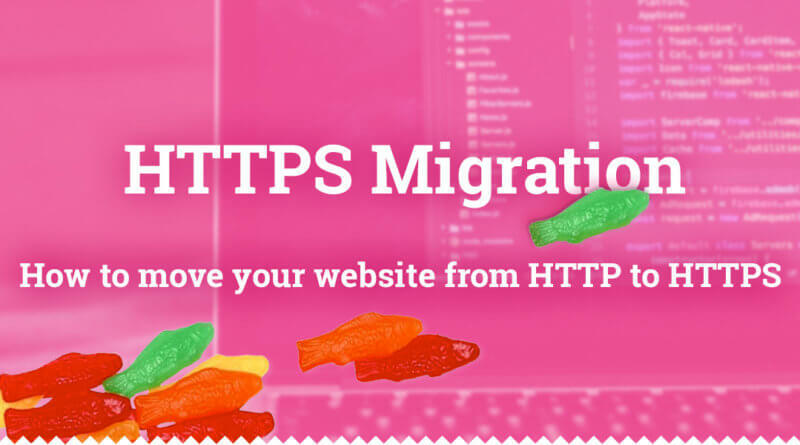 There are many hazards associated with any site migration but there are also a lot of precautions you can take to avoid these when moving your website from HTTP to HTTPS. Google Chrome says “Not Secure”? In Chrome 68+, the address bar will display “Not secure” for all HTTP pages. For years Google has been pushing for a more secure Internet, advising websites to deliver a safer browsing environment for users by adopting HTTPS encryption. September 2018 marks the beginning of Google’s Chrome browser marking websites that are running over HTTP as “not secure”. This is bad news for HTTP websites owners that, in the light of increased awareness of data security and distrust of corporations, want to be making their visitors trust them more not less. “Not secure” can conjure up imagery of hackers, viruses and data breaches. Visitors are becoming savvier about who they trust their information to and these “not secure” warnings could be enough of a threat for them to avoid the website altogether. Now really is the time for websites owners to move their HTTP websites to the securer HTTPS. We understand the trepidation website owners might feel about undergoing such a large task, especially if they don’t have the security of a full development team and SEO experts behind them. Reflect Digital have put together a comprehensive, easy to understand guide to making the changeover from HTTP to HTTPs. We found the guide very easy to digest and understand and you can also find a handy downloadable checklist to assist you with the migration process.